Suitable for Immunomicroscopy and Flow Cytometry or FACS analysis as well as other antibody based fluorescent assays requiring extremely low background levels, absence of F(c) mediated binding, lot-to-lot consistency, high titer and specificity. The maximum amount of reagent required to stain 1 x 10e6 cells in Flow Cytometry is approximately 1.0 µg of antibody conjugate. Lesser amounts of reagent may be sufficient for staining. 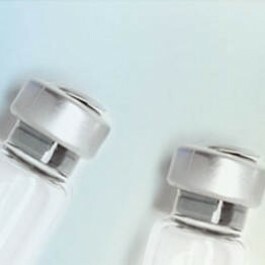 As a general guideline dilutions of 1:100 to 1:250 should be suitable for most applications. Restore with deionized water (or equivalent). 0.02 M Potassium Phosphate, 0.15 M Sodium Chloride; pH 7.2 with 0.01% (w/v) Sodium Azide as preservative and 10 mg/ml Bovine Serum Albumin (BSA, IgG and Protease free) as stabilizer. Assay by Immunoelectrophoresis resulted in a single precipitin arc against anti-Phycoerythrin, anti-Goat Serum, Rat IgG and Rat Serum. No reaction was observed against anti- Pepsin, anti-Goat IgG F(c) or Bovine, Horse, Human, Mouse, Rabbit and Sheep Serum Proteins.